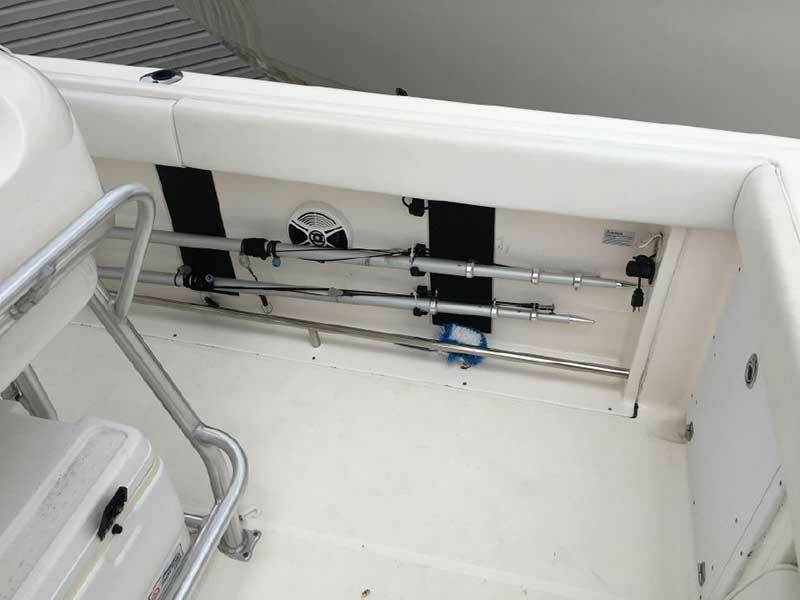 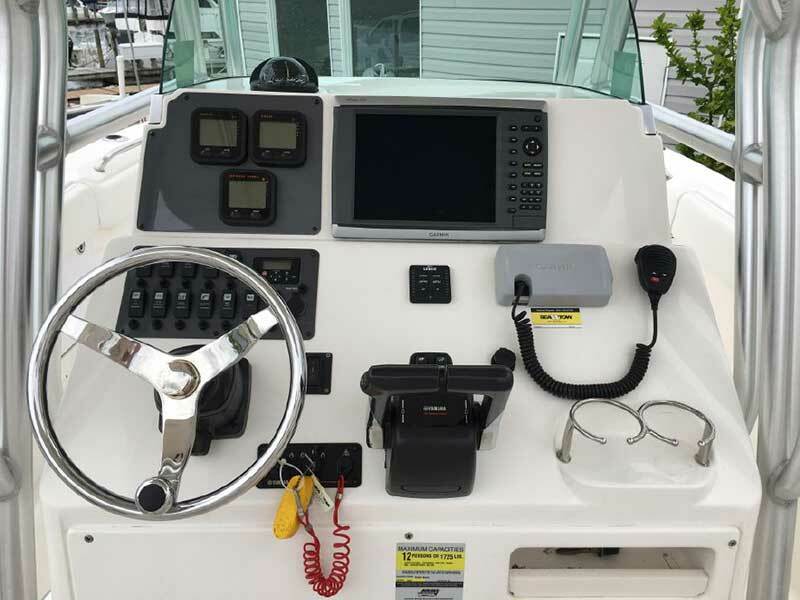 Equipped with a Garmin GPSmap 6212, VHF radio, stereo, Taco Grand Slam Outriggers, Windlass Anchor Garmin 4K Radar. 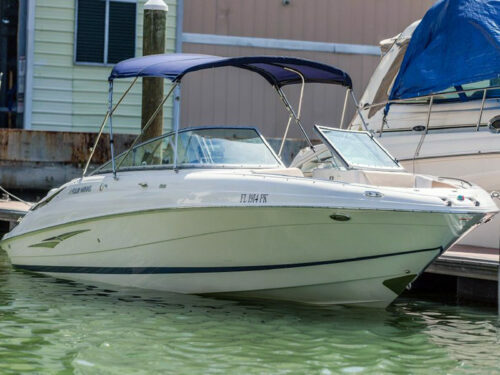 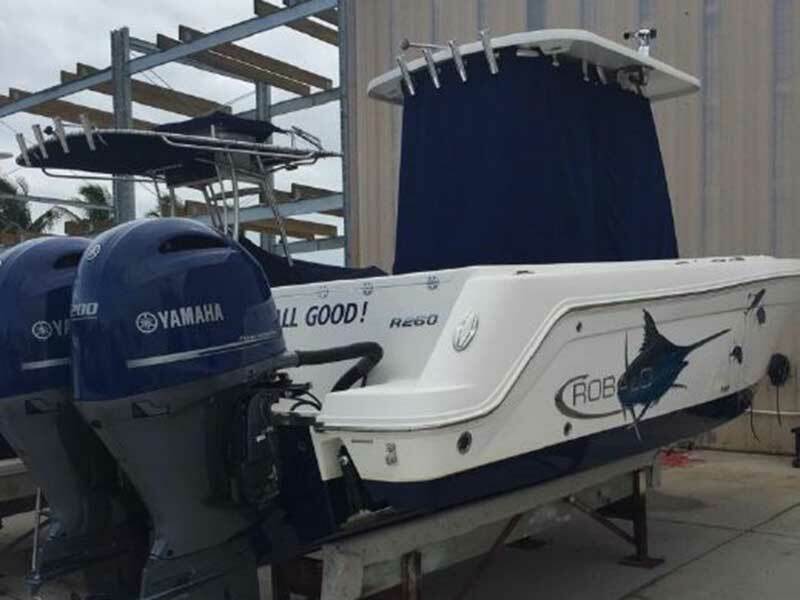 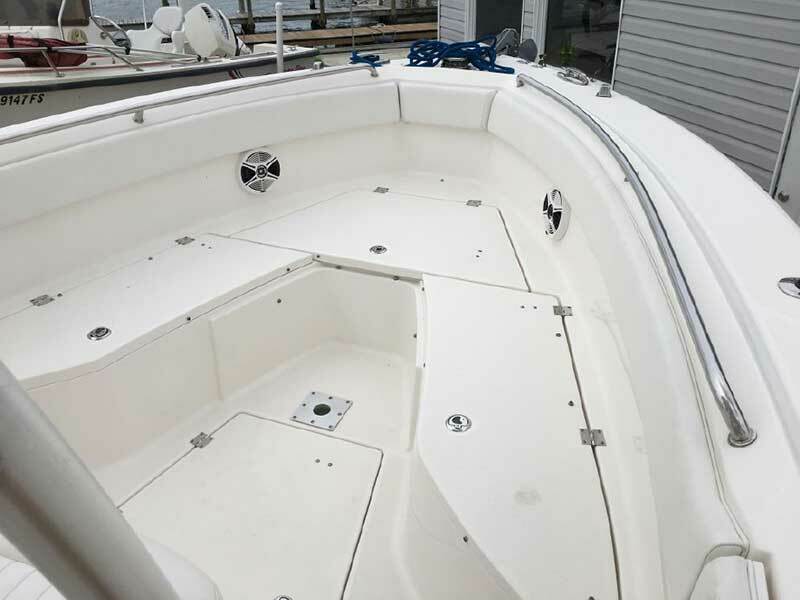 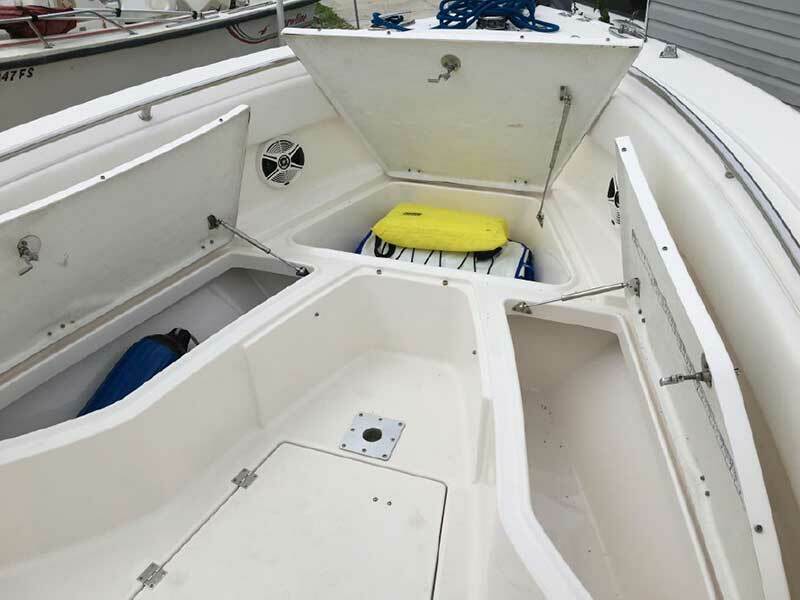 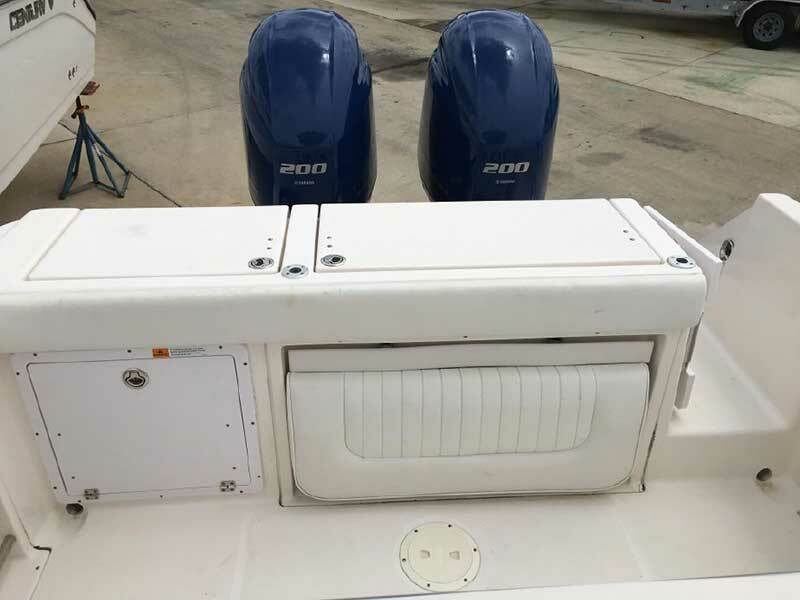 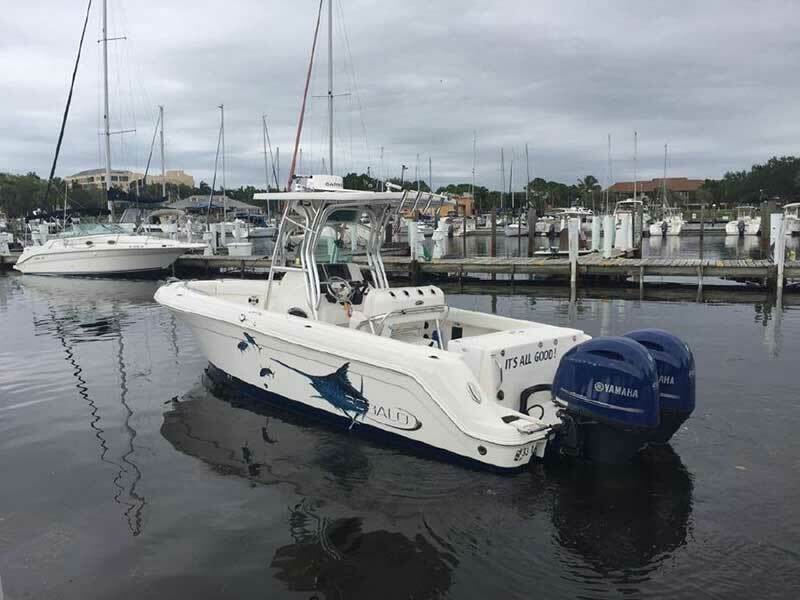 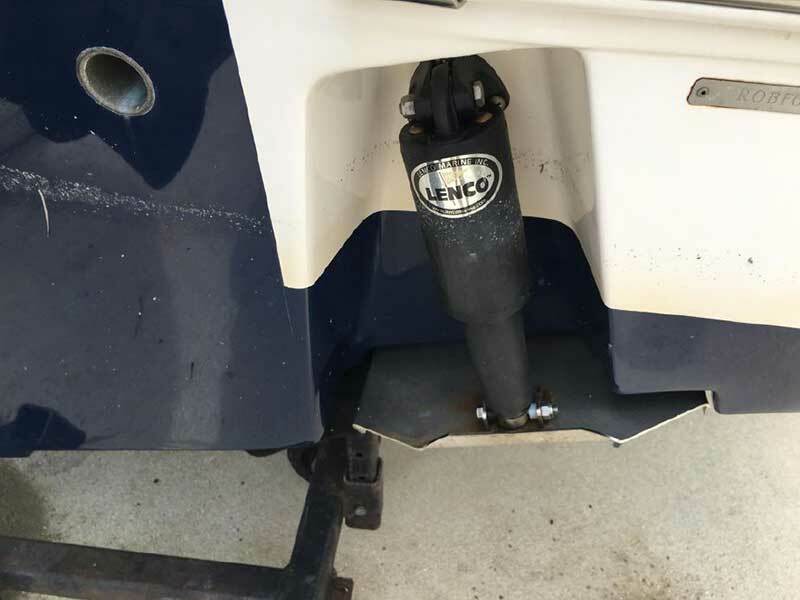 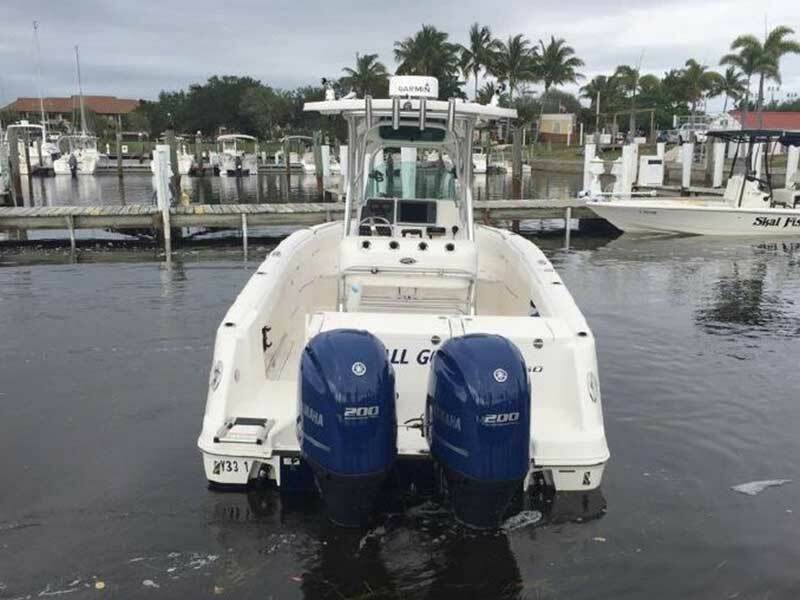 Fresh and Raw Water Washdowns, Custom Blue Cowling Covers -Blue factory Bottom Gelcoat-Factory Graphics, VacuFlush Head with Macerator, Trim Tabs with Indicators, Back Bench Seat, and Back rest. 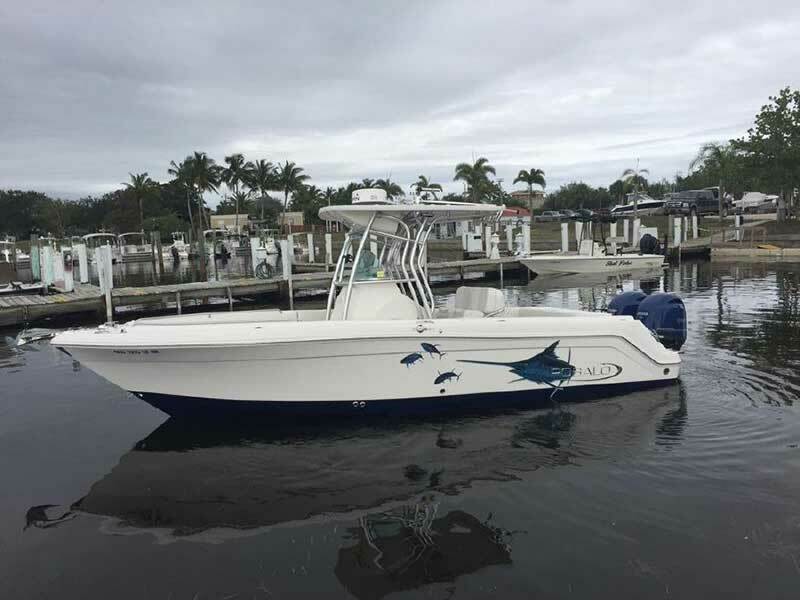 We’re real estate and yacht broker entrepreneurs who are passionate about helping others achieve their goals in purchasing the right vessel or slip. 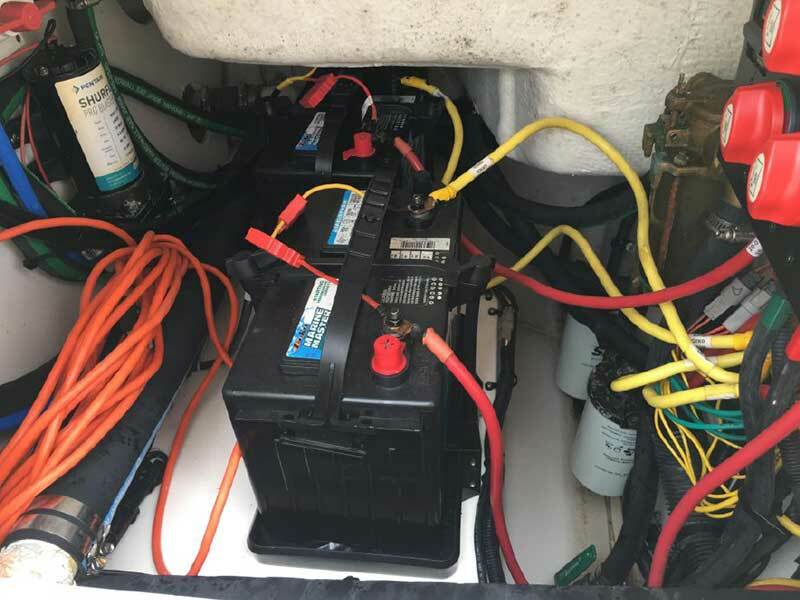 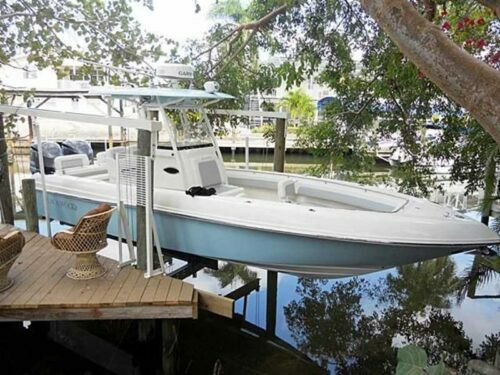 With our experience in Yacht sales and real estate, Sanibel Yacht and Slip provides outstanding service to our clients. 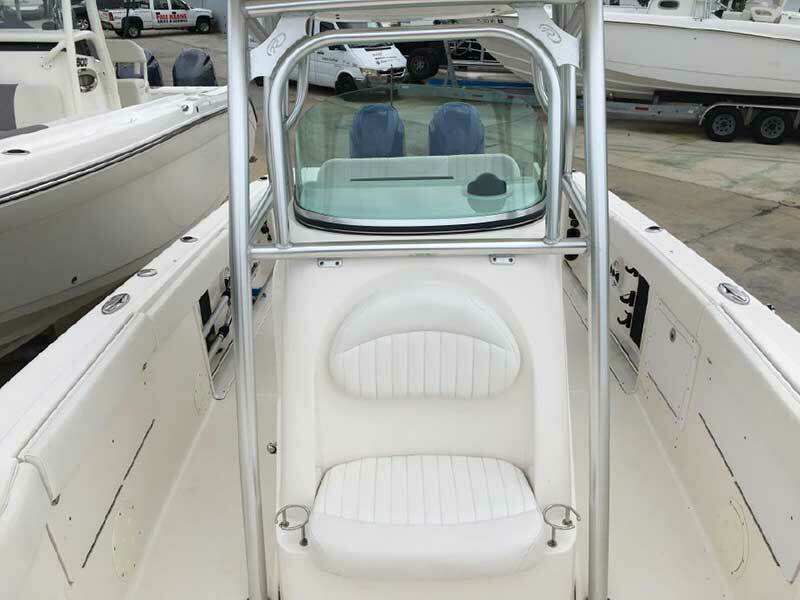 We'll pair you with the best vessel or property for your needs. 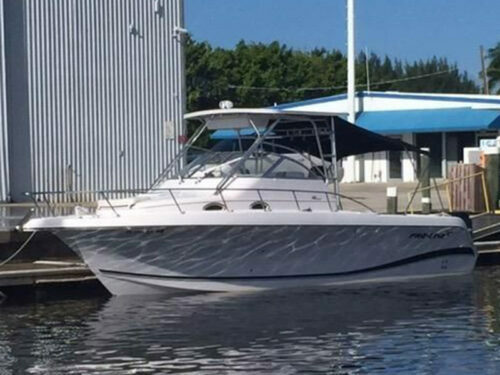 BoatsforSaleFortMyers.com developed by our Website Design Agency, and managed by our marketing agency. 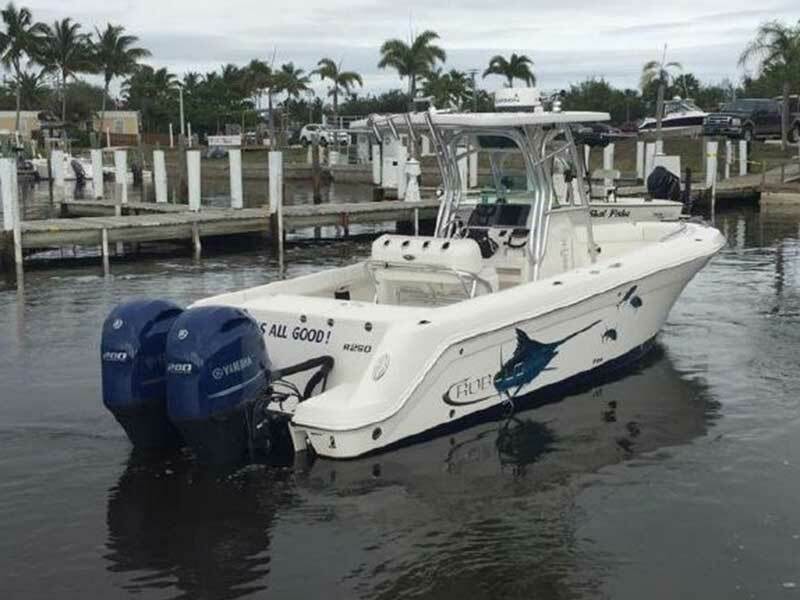 Please report any issues to our marine marketing agency team.